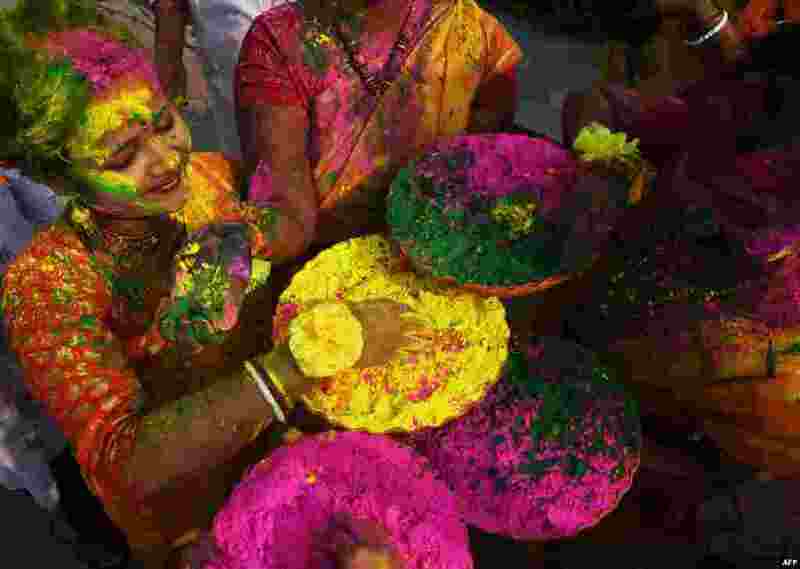 ١ Indian students play with colored powder to celebrate Holi festival in Kolkata. 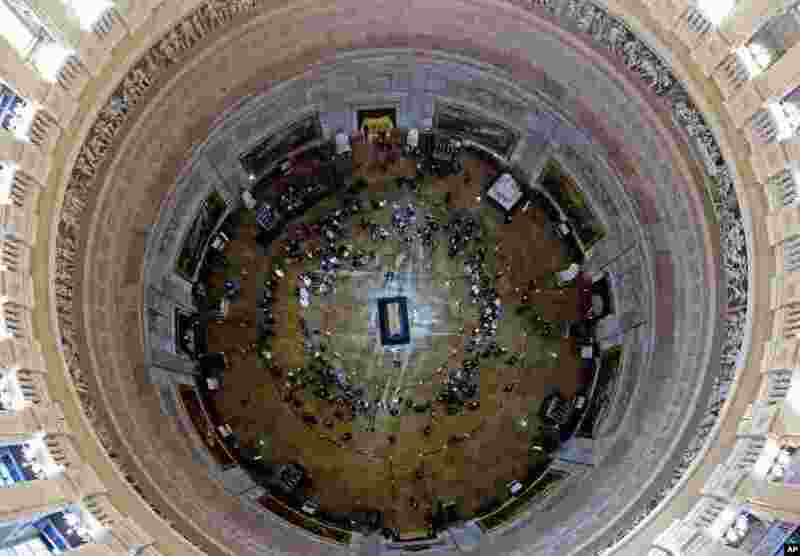 ٢ Visitors pay their respects as the casket of Reverend Billy Graham lies in honor at the Rotunda of the U.S. Capitol Building in Washington, Feb. 28, 2018. It's a rare honor for a private citizen to lie in honor at the Capitol. Graham died in his sleep at his North Carolina home. He was 99. 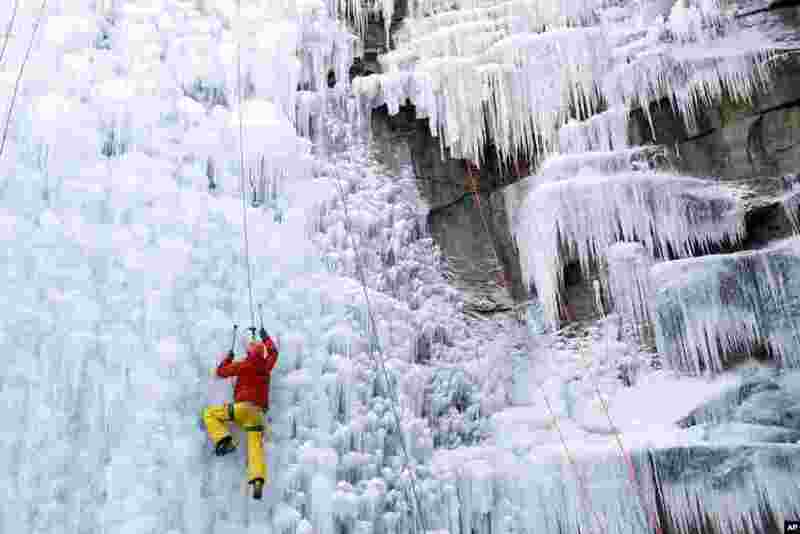 ٣ A man climbs up an artificial ice wall in Liberec, Czech Republic. 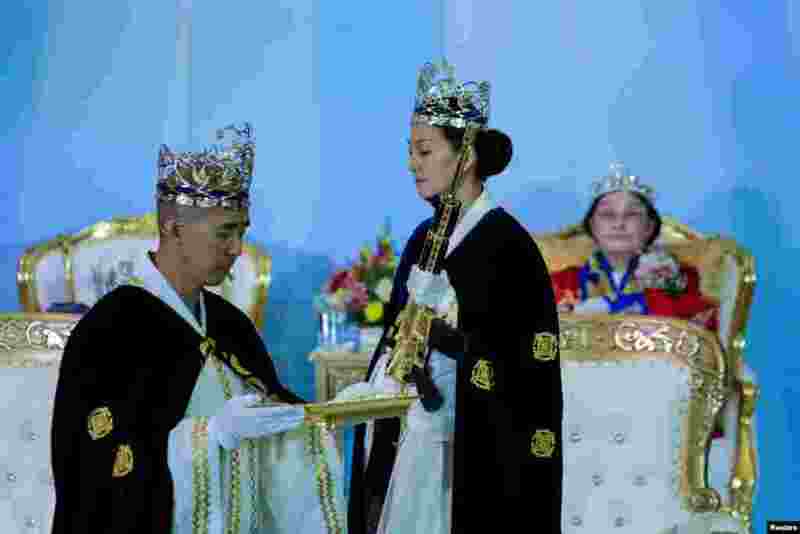 ٤ Reverend Hyung Jin Moon, the church's pastor and the son of the late Sun Myung Moon, attends a ceremony while people with their AR-15-style rifles in their cases watch the event at the Sanctuary Church in Newfoundland, Pennsylvania, Feb. 28, 2018.